Born on 6 March 1937 in Detroit, Michigan, the son of a Russian immigrant, Ivan Frederick Boesky was yet another financier unknown to the public until his public disgrace. He went to Wall Street in 1966 as a stock analyst. Nine years later, he started his own arbitrage firm with the help of his wife’s family fortune. By the mid 1980s, working up to 20 hours a day at his desk in a white marble office on Manhattan’s Fifth Avenue, he was worth an estimated $200 million. Boesky made money from stock in firms that were about to be taken over which was legal as long as the buyout was public knowledge. However, there were so many instances of favourable dealing that insider trading could be the only explanation. Nearly 3,000 mergers and buyouts, worth more than $130 billion, occurred in 1986 alone. Boesky and others bought a large bloc of shares in Gulf+Western before rumours of a takeover bid drove up the price of that stock. 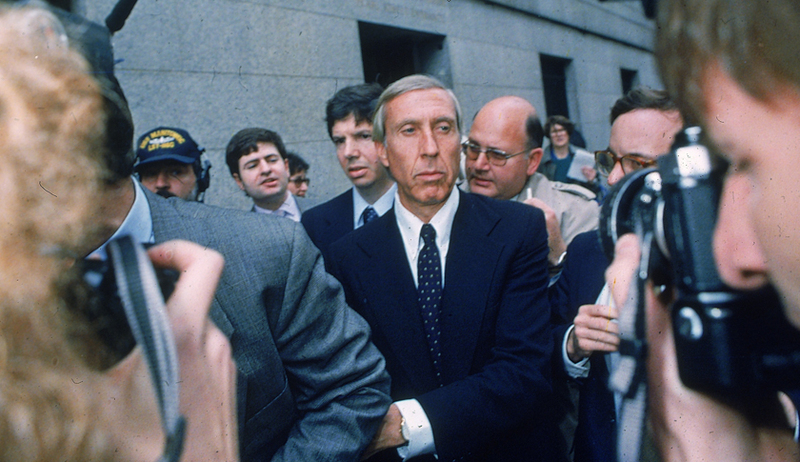 On 14 November 1986 the Securities and Exchange Commission (SEC) charged Boesky with illegal stock manipulation based on insider information. The arbitrageur was banned from working in securities, fined $100 million and jailed. Ivan Boesky was fined $100 million and sentenced to three and a half years in Southern California’s Lompoc Federal Prison Camp near Vandenberg Air Force Base, also known as Club Fed West. He served two years before being released, but was banned for life from working in the financial industry.